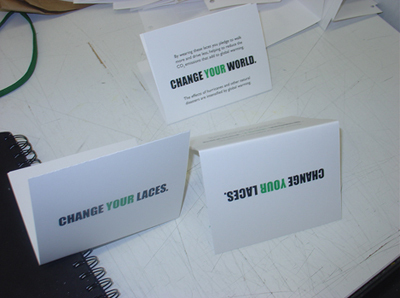 The purpose of this project was to increase awareness of the effects of global warming on natural disasters. 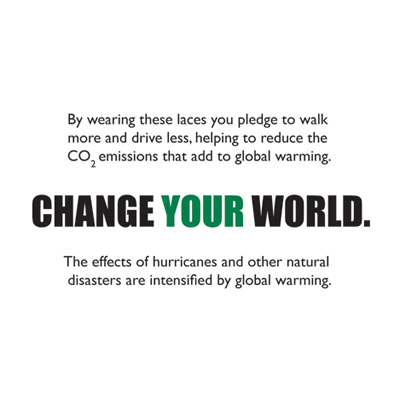 By reducing CO2 emissions from automobiles (achieved by carpooling and walking more), our contribution to pollution would be decreased. 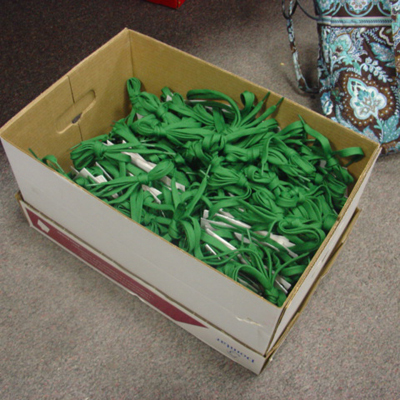 The assumption was if enough people participated on the microlevel, major effects would be seen. 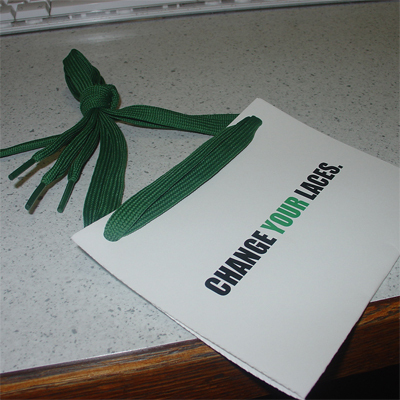 Approximately 400 cards were printed and bound with green shoelaces. 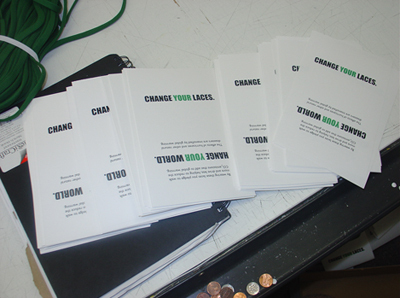 These cards were distributed at a Notre Dame versus Michigan hockey game and around campus. 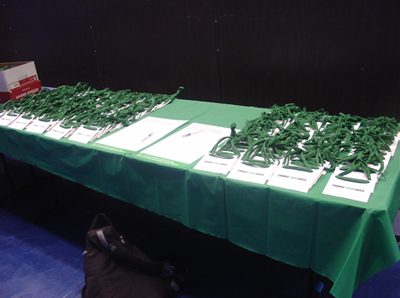 In order to earn the green laces, students and members of the community signed a pledge to walk more and drive less. 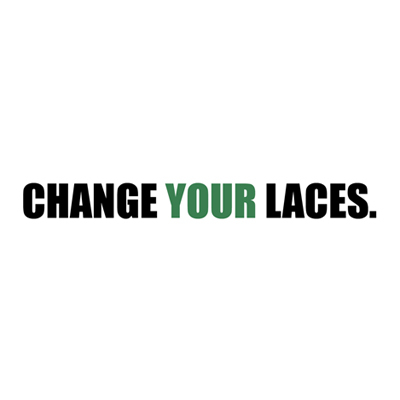 1) Green laces serve as a reminder to walk more. 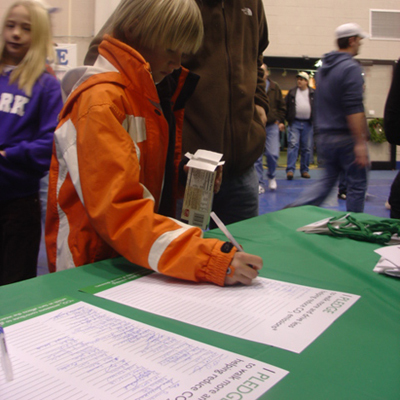 2) Green signals environmental awareness. 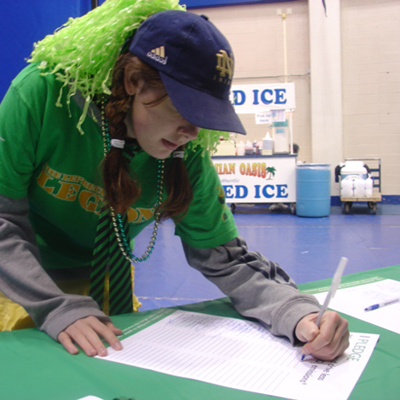 3) Green is a school spirit color at Notre Dame.